self aligning ball bearing for mining bearing 6309 C4 for idler factory_bearing 6309 C4 for idler-Shandong Xinkaite Bearing Co.,Ltd. bearing 6309 C4 for idler plant, professional bearing 6309 C4 for idler manufacturers, over the years by virtue of strong strength, high-quality products, low prices, first-class service, to win the trust of our customers! Shandong Xinkaite bearing Co.,Ltd.is located in Yandian, the Chinese Bearing City. It is a professional conveyingmachinery bearing manufacturer enterprises. Started in 2006 (Former Shandong XinKai Bearing Co_ Ltd.). depending on the Yandian Professional Bearing Market, the company pushas the business to the whole world, and now the areas of industry concentration of idlerroller bearing and idler roller accessories , are full of our long-term fixed partners. The company is gradually growing,and from the rough to the bearing we set up a one-stop production line , with daily output of more than 10000 sets. Thus to make our products have an absolute market competitiveness. We are in line with the first goal of zero defect products, continuously introducing professional production equipment and perfect testing equipment. to make the quality of products constantly improved. Strict inspection before leaving the factory. with double test of artificial and instrument, ensures that each batch of products to achieve a unified standard. Our company has the IS09001 quality system certification, while the products passed the test of Chinese Coal Science Institute and Provincial Testing Canter. Do the first class, and make the best product, thus to make users satisfied and customers assured.This is our business purpose. Down the price with strength. and develop company with imegrity, are our management idea. Sincerely welcome customers all over the world. to become our partners. 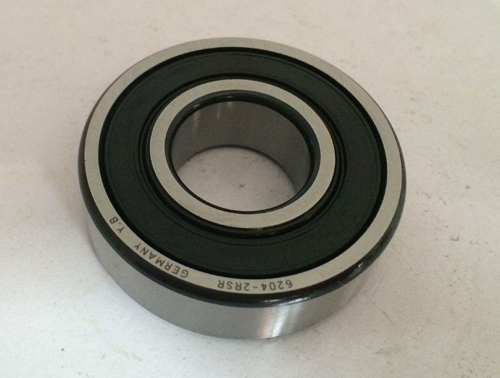 bearing 6309 C4 for idler plant, with advanced production equipment, set research and development, production and sales for an integrated company. Company to market as the basis, the company's products bearing 6309 C4 for idler more popular world more! Copyright © 2017 Shandong Xinkaite Bearing Co.,Ltd.